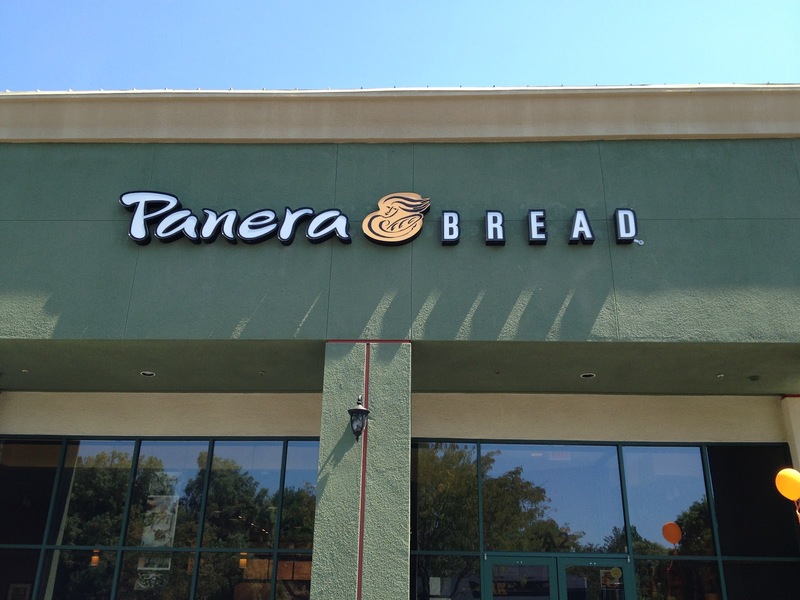 Griffin Eats OC: Panera Gift Card Giveaway! 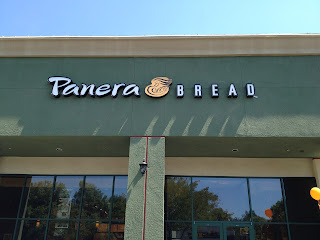 To celebrate the opening of their new Mission Viejo, CA location (25523 Marguerite Parkway, Suite A2), Panera invited me down to sample some of their menu items and give away a couple of gift cards to my readers. 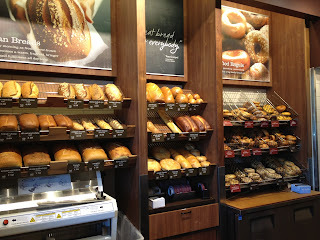 We were able to sample many of their items from sandwiches to soups and freshly made breads. Every morning Panera freshly makes all of their baked goods. The baked goods from the previous day are donated to a local charity. Of all the items I tried, I believe that my favorite was the Sonoma Chicken Stew with a Dry Jack Cheese Biscuit (pictured above on the left). The stew was very creamy and reminded me of the filling of a great chicken pot pie. In fact, I was thinking of buying a large batch of this later to bring home and bake into some pie shells. The chicken stew is a seasonal item though, so get it while you can! 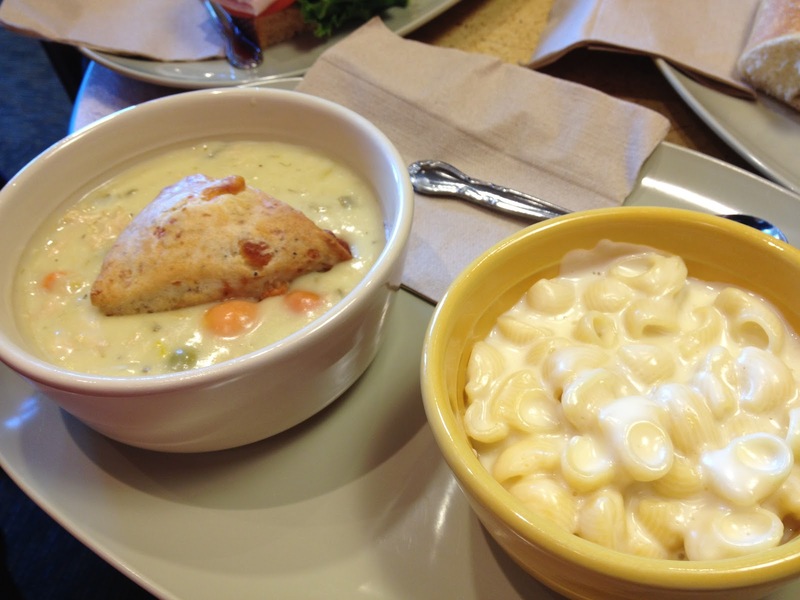 Panera has graciously offered to give away two $10 gift cards to two lucky readers. Use the rafflecopter form below to enter! Asian Sesame Chicken is my favorite! I love their Sierra Turkey sandwich. Yummy! Any of their soups. Actually everything they have is awesome. I love their clam chowder! Any of their soups . . . but broccoli cheddar is my favorite! I love the Asian chicken salad. I love all the soups they have.. I like the Sierra Turkey sandwich. I love the bread bowls. I love the soup bread bowls, broccoli cheese is my favorite. terri.moore30@yahoo.com thank you! I love all of their salads! And of course the bagels! The cinnamon one is to die for. I like Panera's cinnamon crisp bagels with hazelnut spread. my favorite is the chicken salad..! Thanks for the giveaway! Tried the Sonoma Chicken Stew with a Dry Jack Cheese Biscuit this past weekend - awesome! Anything with you pick two, and iced tea! I love their FUJI APPLE CHICKEN Salad! I love their broccoli cheddar soup and the cookies/pasteries! love the grilled cheese with tomato soup! I love everything on the menu but their baked potato soup is on my radar right now with a chunk of their multigrain bread. I love the broccoli cheese soup in a bread bowl!